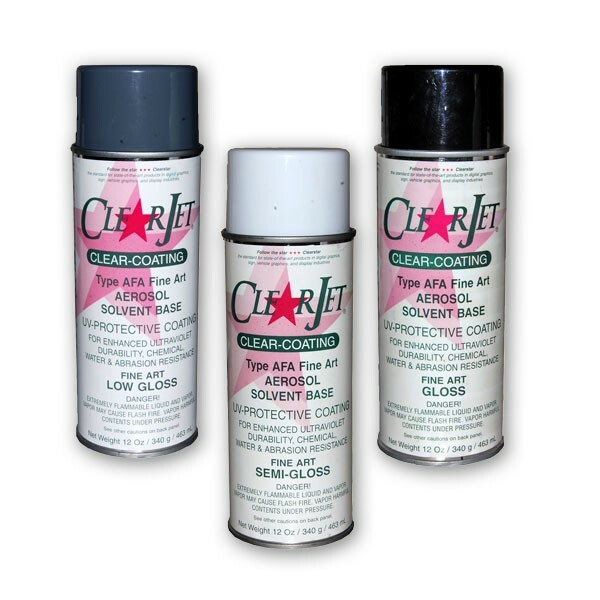 Clearjet AFA Aerosol 463ml Semi-Gloss UV Inkjet Lacquer - Solvent based semi-gloss aerosol for aqueous inkjet prints. Non-yellowing formulation. High UV protection.